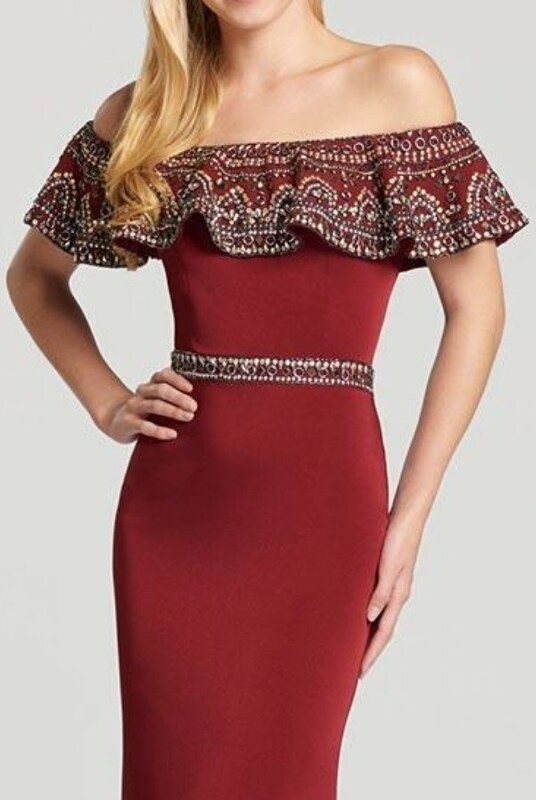 Put the fun in your formal date with this festive gown by Ellie Wilde EW118055. A contrasting ruffle along the off-the-shoulder neckline and upper arms, adding flair to the fitted bodice. A shimmering band girds the waist, and tailoring lines trace a liquid fit along the hips. A smoothly flaring flute spills from knees to feet.